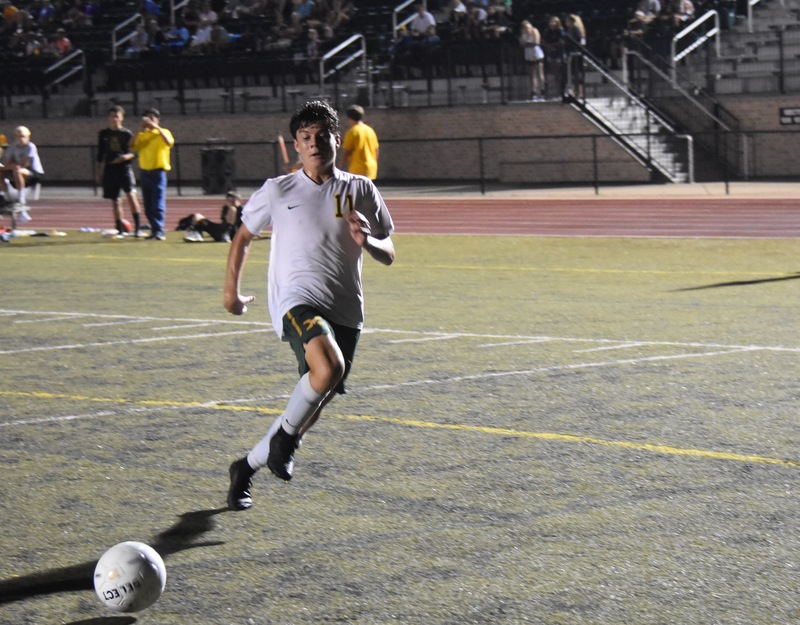 Last night, Tiger Soccer squared off against the Male Bulldogs in a key district game. This game had some district playoff seeding tension on the line, as whoever won would likely pick up the number one seed. The Tigers knowing this, came out firing. Brad Middleton got things started with a quick goal to begin the game. A few minutes later, a handball was called in the box, giving Sam Graber the opportunity for a penalty kick. He didn’t hesitate and easily cleared the ball past the keeper. With 12 minutes to go in the first half, Trevor Landoch finished off a nice touch pass from Bennett Moorman for a goal. By the end of the first half, it was already 3-0 Tigers. This would remain the narrative for the game, as the Bulldogs couldn’t get anything going. Coach Schulten began to sub some guys at the beginning at the second half, while most of the starters rested for the rest of the game. Junior Jack Schrepferman netted a goal midway through the period. There were a few shots on goal, but the Bulldogs failed to convert, except on one attempt where they scored an own goal… oops. The Tigers won the game 5-o. The team will travel to St. Louis for Labor Day Weekend to take on some tough competition. Their first game will be played Friday against O’Fallon Township from Illinois. They will finish up their weekend on Saturday with a game against St. Louis University High School. Posted on September 1, 2016, in Tiger Soccer, WSTX Sports. Bookmark the permalink. Leave a comment.